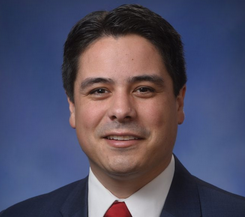 Current representative: The current representative for the 83rd District is Rep. Shane Hernandez (R-Port Huron). The district features Sanilac County and Burtchville Township, Fort Gratiot Township, and the city of Port Huron in St. Clair County, according to House Republicans. Hernandez is chair of the House Appropriations Transportation Subcommittee and a member of the Joint Committee on Administrative Rules. According to his official House biography, Hernandez worked as the vice president of design at a small architectural firm in Port Huron. A map of the 83rd District is available here. Rep. Hernandez raises money through a candidate committee, Committee to Elect Shane Hernandez. He's also connected to a leadership PAC, Blue Water Liberty Fund, which launched in August 2017.